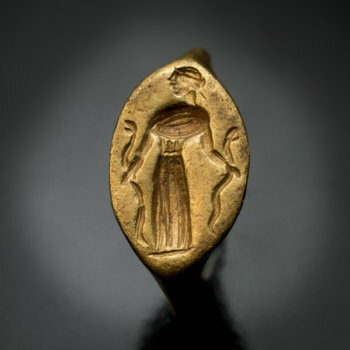 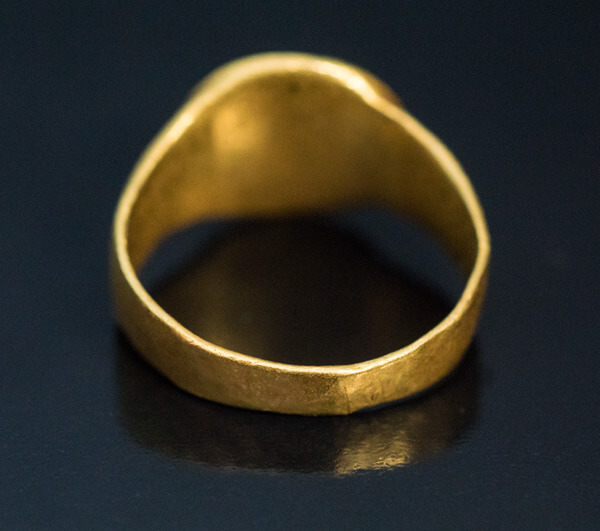 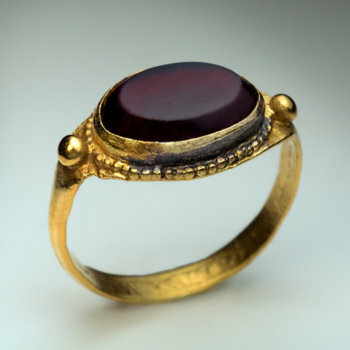 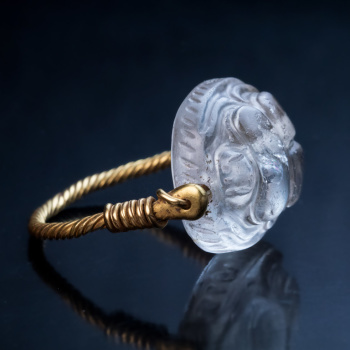 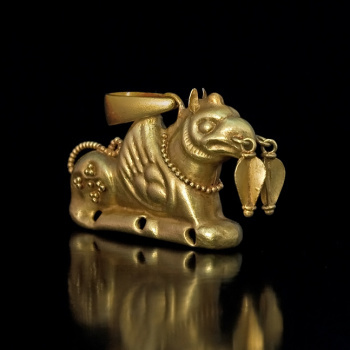 A unique, museum quality ancient Greek gold ring, circa 4th century BC, likely a wedding ring. 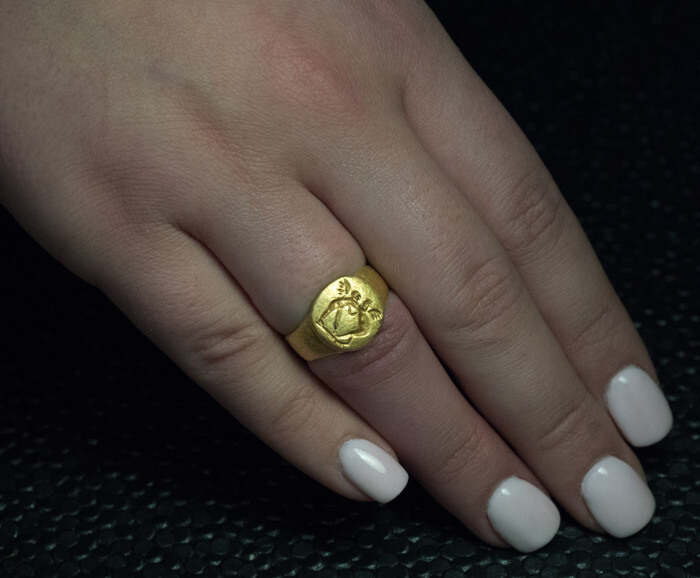 The ring is engraved with two wrestling Erotes. 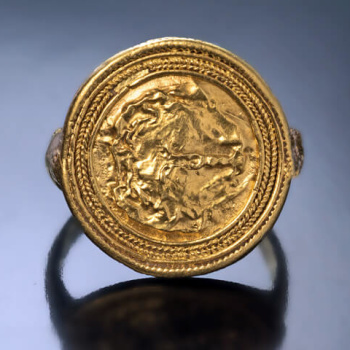 When Aphrodite (Greek goddess of love, beauty and pleasure) was born from the sea she was greeted by the twin love-gods (Erotes) Eros and Himeros (god of sexual desire). 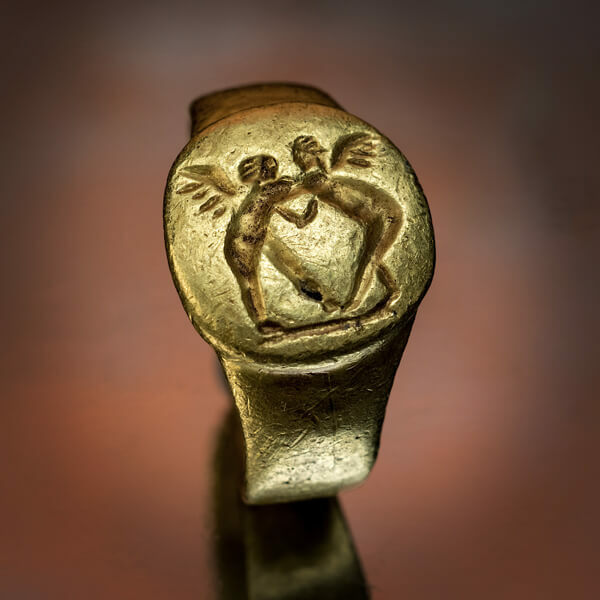 The wrestling scene was interpreted by one scholar of ancient Greek art as “two wrestling Erotes, may personify the interior struggles and doubts of the bride…”. 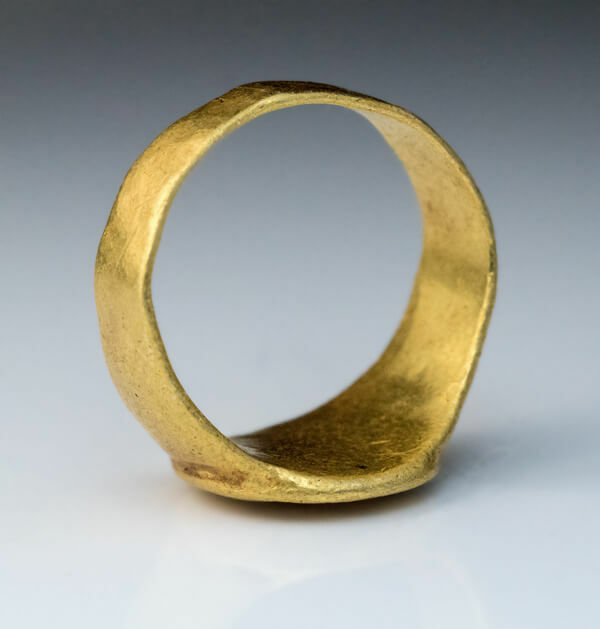 The gold alloy of the ring contains 89.75% of pure gold, approximately 21 kt.